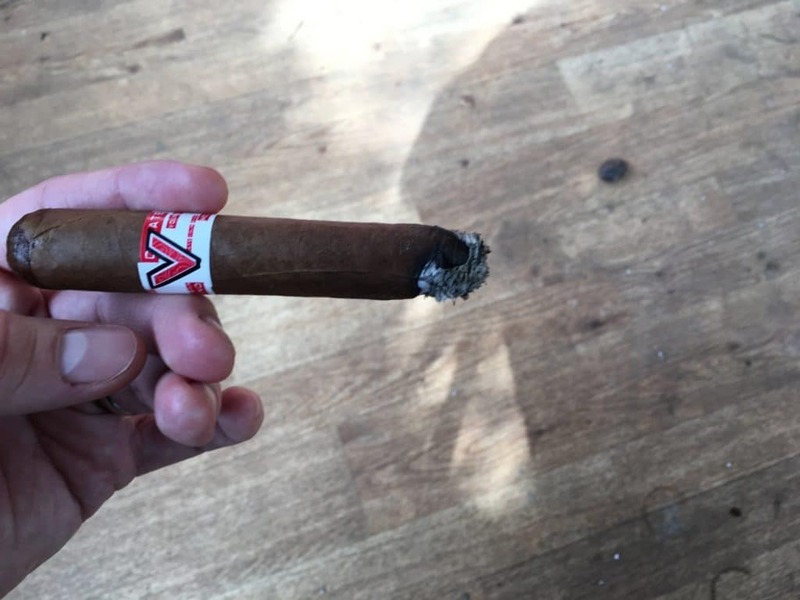 In this post, I review the PSyKo Seven Robusto by the Venture Cigar Company. Photo by Carolin D is licensed under CC 2.0. This content uses referral links. 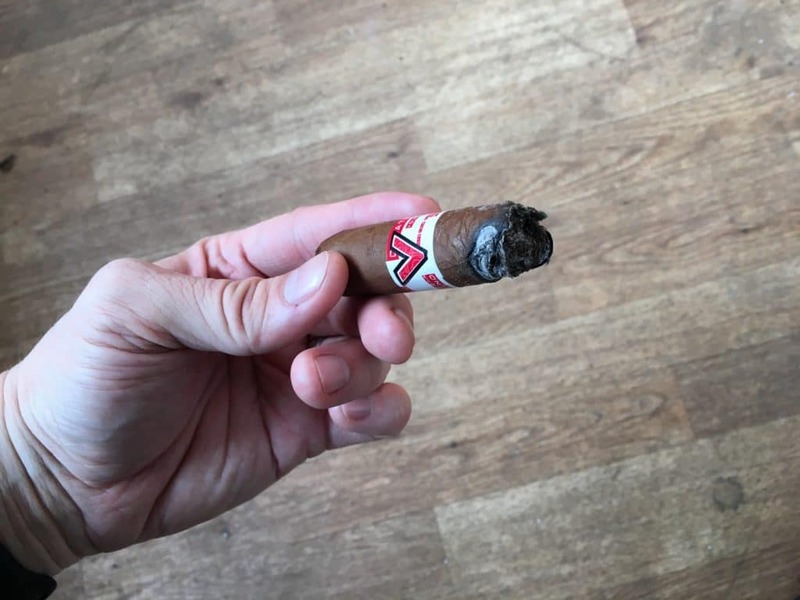 The PSyKo Seven Robusto is a mild cigar from the Venture Cigar Company, a relatively new cigar company. I must admit that I have never heard of either the cigar or the company. This may explain why. The company lacks the name recognition of the more established brands, such as Montecristo and Romeo and Julieta. Nevertheless, the PSyKo Seven Robusto was an enjoyable smoke. While I wasn’t impressed enough to purchase a box—even at the reasonable price of $119.99 for a box of 20—I would gladly sample another one should the opportunity arise. I recommend the PSyKo Seven Robusto to anyone who likes a mild cigar. Indeed, this cigar strikes me as a good beginner cigar for those just getting started and who may not be ready for more heavy-bodied smokes. The PSyKo Seven Robusto is a Dominican, light-bodied cigar. With a 5.5” length and 50 ring gauge consistent with its Robusto designation, it’s good for a leisurely smoke of forty-five minutes or so. Unique in its diverse blends, the PSyKo Seven Robusto contains tobacco from the Dominican Republic, Mexico, Nicaragua, Peru, Honduras, and the United States. The PSyKo Seven Robusto is the second cigar I have sampled from Monthly Club’s February shipment. Thus far, none have disappointed. I had a difficult time classifying the PSyKo Seven Robusto’s wrapper. It is a medium brown wrapper that appears to me to be somewhere between a Colorado Claro and a Colorado leaf. While I likely lack the expertise to identify it precisely, I found the PSyKo Seven Robusto’s wrapper to be middle-of-the-road, equal distance from both the Claro and Maduro shades. With a very slight oily sheen and a reasonably smooth appearance, the PSyKo Seven Robusto was an attractive cigar. While the PSyKo Seven Robusto had clear vein lines, it was nothing too obstructive. (You can see one of the vein lines in the picture below.) There was certainly nothing to lead me to believe there would be problems with the burn. The cut—or rather, the punch—was easy. I like the rounded heads because it allows me to punch a hole, rather than perform a cut. If the cigar is too tight, I’ll go ahead and cut off the cap to increase the exit point for the smoke. Where the draw is easy, however, I find a punch to be the best. It allows me to pull in sufficient smoke for an enjoyable cigar while significantly reducing the risk of damaging the wrapper. I was able to puncture the PSyKo Seven Robusto easily. The puncture was clean and damaged the cap little beyond the cut. I could tell right away that the cigar was well constructed and the leaf was not too dry as to crumble the rest of the head as I inserted the blade. Before lighting up, I was able to pull air through the cigar without any difficulty, signaling that I could look forward to a smooth, easy draw. The PSyKo Seven Robusto had a perfect draw throughout the entire smoke. I never had an issue with it and never felt the need to increase the size of the cut. Smoke came through quickly without much effort. In fact, I grew a bit concerned that the cigar was too loosely wrapped by the initial ease of the draw. There was no resistance. At times, it felt like I was puffing on nothing at all. The PSyKo Seven Robusto was wrapped in a label that covered most of the cigar. This required me to peel it off before lighting up. There is too much potential that I will tear the wrapper before even lighting the cigar. Unlike removing the band, I cannot wait until I have moved through most of the cigar before having to do this. If removing a band goes wrong, I will still have enjoyed most of the cigar and will have little time left with which to deal with an uncooperative torn wrapper. In addition, unlike peeling off a band, I had to remove the label without the benefit of the heat from the lit cigar robbing the glue of some of its adhesive qualities. Fortunately, the label came off smooth. And, in fact, the PSyKo Seven Robusto’s label was an interesting complement to the cigar. Designed to resemble a prescription—fitting well with the PSyKo name—it provided a list of all the types of tobaccos and their countries of origin included within the PSyKo Seven Robusto. A nice touch that somewhat compensated for its inconvenience. The PSyKo Seven Robusto was firm to the touch but with sufficient give. Somehow it managed to feel both firm and soft at the same time. Firm enough to provide assurance that the cigar would hold together well. Soft enough to alleviate concerns of potential plugs or difficult draws. As I neared the end, however, I found the band hard to remove. Rather than peeling off smoothly, it ripped and tore into pieces, forcing me to spend time carefully attempting to peel it away without damaging the wrapper. I mostly succeeded, but it took too much effort. The unlit wrapper of the PSyKo Seven Robusto possessed a slightly sweet aroma. The smoke emanating from the cigar after I toasted the foot was smooth and subtle. I wasn’t able to distinguish any particular aromas—I rarely am—but I nonetheless knew I could look forward to a smooth smoke. After the initial minor difficulty, however, the cigar otherwise took the flame nicely. When I finally lit it up, the PSyKo Seven Robusto lit up fairly evenly from the beginning. It had a nice, even initial burn with just a slight hesitation from the initial difficult point. The cigar, however, quickly corrected itself and began to burn evenly. At about the 25% point, however, the burn started to move about unevenly. It was nothing too dramatic. The canoeing around the point that initially provided some hesitation was not extreme. But, it was present nonetheless. Once again, however, the PSyKo Seven Robusto corrected itself, though not as quickly as in the beginning. By the time the cigar had burned to about the 50% point, the slow-burning spot had caught up, and the cigar began burning evenly again. By the time I reached the 75% point, however, a new problem had presented itself. The burn remained fairly even. The wrapper, however, started burning slower than the filler, resulting in a slight hollowing out of the cigar. Overall, the burn was not perfect, but it still burned fairly well with no significant problems. The issue was more aesthetic than anything with no discernable effect on the heat or flavor of the cigar. The ash left something to be desired. Like the Tabak Especial, the PSyKo Seven Robusto lacked the beautiful grey ash that I like to see. Instead, it was a mixture of grey and black with weak consistency. The ash crumbled off the tip of the cigar on its own after less than an inch of burn. In fact, it could not go more than an inch before falling off on its own. The construction did not seem very solid in this regard and perhaps indicated that it was not rolled quite tightly enough. I had to keep an eye on the PSyKo Seven Robusto, as, if I failed to pay attention, its ash would fall off on my shirt without warning. This is probably a cigar to be smoked outdoors and in casual clothes. The PSyKo Seven Robusto maintained a near perfect burn rate that stayed fairly consistent throughout. If anything, it burned a little too slowly. The PSyKo Seven Robusto burned lightly, and I never got the impression that it was about to go out. When there were less than two inches left on the cigar, however, it went out without warning. There was nothing to indicate this threat, so I never felt as though I had to puff or work at it to keep it going. By the time the PSyKo Seven Robusto had gone out, it had burned to a point where I might have otherwise discarded it. I enjoyed the cigar so much, however, that I relit it so that I could continue smoking it to the nub. As I previously stated, I have a difficult time describing a cigar’s flavor. The “tantalizing notes of nuts, cream, and cedar” the PSyKo Seven Robusto supposedly possesses eluded me. As far as I could tell, the smoke started light with flavors that could perhaps pass for cream. I am beginning to recognize a taste that reviewers call cedar. As it doesn’t remind me of cedar—more like a type of earthiness, perhaps—I am only guessing by its familiarity and association with cigars that earn such descriptions. To me, the PSyKo Seven Robusto seemed to possess a bit of spice. The taste was light, however, at the beginning of the cigar. Indeed, at times, the flavor seemed nonexistence. I could tell that I was drawing in smoke, but I was unable to identify anything beyond the slightest hint of taste or flavor. The spicy flavors grew stronger, however, as the cigar progressed. By the time I reached the 50% point, the flavors were much bolder and more distinct. Indeed, the PSyKo Seven Robusto grew fuller bodied as it progressed. The flavors intensified and became much more pronounced. At times, it seemed to grow harsh. By the time it reached the 75% point, the smooth taste was gone, replaced by a harsh, though not quite overpowering, smoke. Indeed, even with the newer intensity, it was still quite pleasant. Overall, I was less than impressed with the flavor profile of the PSyKo Seven Robusto. It was too subtle for me really to enjoy it, though I imagine it will be a favorite among those who like very mild smokes. I doubt I’ll ever buy a box, but I’d recommend it to anyone who can’t stand strong cigars. The PSyKo Seven Robusto is moderately priced. You can get it for about $7.37 per cigar if you buy a box of 20 from Monthly Clubs. Their supplies tend to dwindle quickly, however, so you may have to look elsewhere if you decide you love it and want to maintain a supply. You can find it cheaper elsewhere anyway. I found it for $5.95 per cigar if you buy a box of 20 through Famous Smoke. That seems like a pretty good deal. Perhaps you can find even better deals if you look around. If I were to assign 10 points for the overall appearance of the cigar, 25 points for the lighting and burning properties, 30 points for its construction, and 35 points for flavor, I would rate PSyKo Seven Robusto as follows. Overall appearance: 10 points. I don’t care very much about the appearance of a cigar. PSyKo Seven Robusto is a good-looking cigar with no blemishes to speak of. I see no reason to penalize it for its appearance. Lighting and burning properties: 22 points. The PSyKo Seven Robusto lit fairly easily with some minor difficulty. It burned well throughout with some slight canoeing at times. There were no significant flaws in the burn, however. Construction: 27 points. The PSyKo Seven Robusto seemed to be well constructed and held together well. The draw was easy throughout, though I got the impression that the tobacco was packed just a little too loosely. Flavor: 30 points. The PSyKo Seven Robusto is a delicious cigar, but I didn’t find anything extraordinary about it. It tastes how you would expect a premium cigar should taste with nothing to add beyond the minimal expectations for a high-quality cigar. That does not change the fact, however, that it is a high-quality cigar and tastes as such. Overall, I rate this cigar an 89. It’s an excellent cigar, but nothing extraordinary. A B+ rating seems appropriate. By way of comparison, Monthly Clubs rated it a 91. As always, I recommend Monthly Club’s Cigar of the Month Club. You’ll get five premium cigars delivered to your door every month. 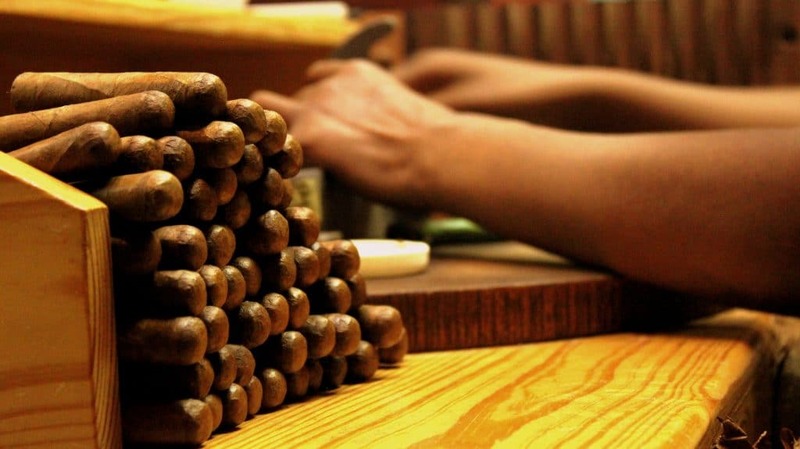 The opportunity to try a variety of high-quality cigars and to learn more about cigars through the accompanying tasting notes is an invaluable experience for anyone interested in them. I recommend giving it a try. If you’re interested and would like to use my referral link, I would appreciate it. If you decide to sign up, I’ll receive a commission at no cost to you. If you’d prefer not to use my link, however, I still recommend the club. Just type in cigarmonthclub.com to explore Monthly Clubs’ offerings.